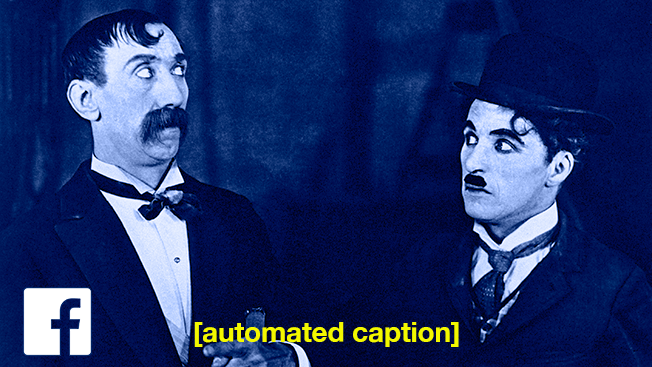 Closed captioning will now be brought to you by Facebook. Starting today, the Menlo Park-based company will begin offering two lines of automated captions in branded videos for free. The addition could be a new way for marketers to still use the silent autoplay feature while getting more messaging across. The update is meant as a way to give users more reason to watch videos rather than just scrolling by. According to Facebook's ad products marketing director, Graham Mudd, that means brands need to insert their message as quickly as possible before users move on. Internal tests conducted by Facebook found that captioned video ads increased video view time by 12 percent on average. "In a feed-based environment, people are in control of what they consume," Mudd told Adweek. "So, unless you focus on earning that attention, really through relevance, you're not going to succeed as much as you would otherwise." New results of an independent study conducted by Fors Marsh found that users recall content in a news feed even after seeing it for just a quarter of a second. A separate study for Facebook by Nielsen found recall increases to 47 percent after three seconds of viewing and to 74 percent after 10 seconds. Along with video, mobile is more important than ever—mobile ad revenue now accounts for 80 percent of the company's overall ad revenue. Despite the massive numbers related to video, Mudd said it's still common for advertisers to simply repurpose video they ran on television. However, since mobile is a different experience, it requires different types of video. Mudd said the company has seen brands achieve much better business outcomes and attention rates when mobile video formats are taken seriously. "I think the massive adoption of smartphones, etc. is all coming together to produce a new advertising channel that has tremendous reach," he said. "And I think that mobile as a device is becoming one of the most—if not the most—important devices to people." Along with adding automated captions, Facebook also is expanding features that were previously only available in the U.S. In addition to offering new video ad analytics capabilities that independently measure ads, Facebook has made its "100% in-view" buying option available internationally. The option, announced in September, lets marketers only pay for video ads that pass all the way through a news feed.